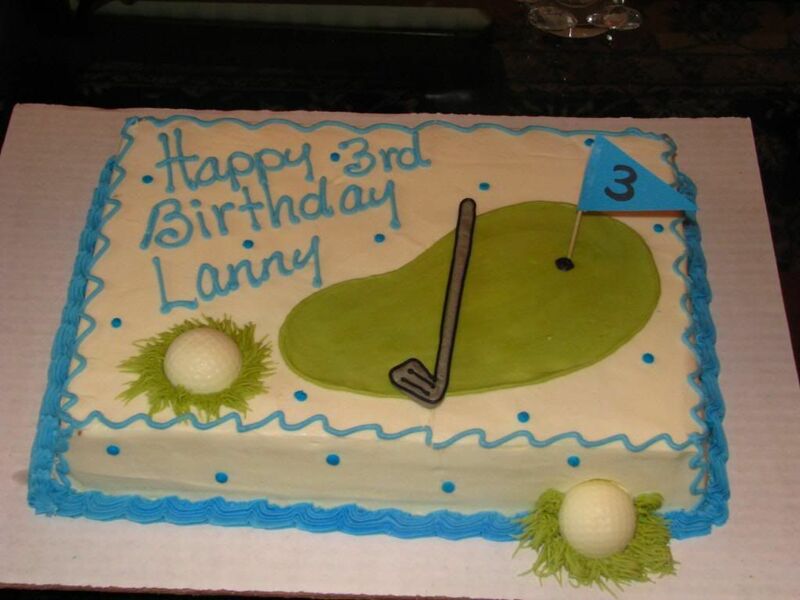 For Lanny's 3rd birthday, Aunt Jessica planned a party that revolved around Lanny's new favorite sport, GOLF! 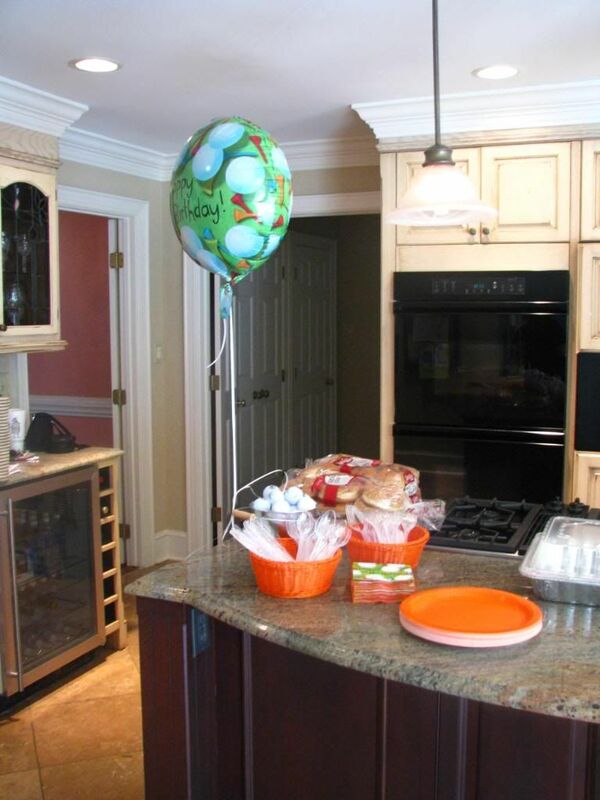 He was a lucky boy! 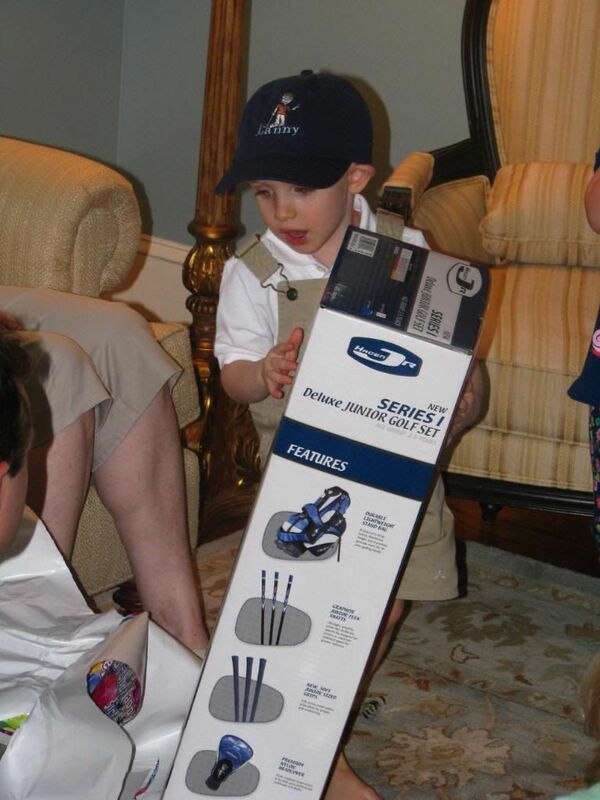 He got tons of cool presents, including a drum set and a set of real golf clubs. 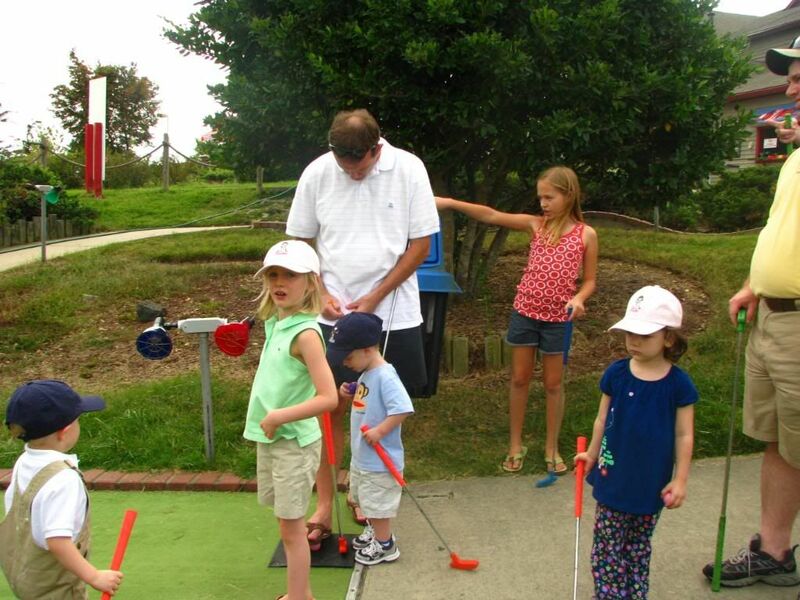 Then, we took all the kids to play putt-putt. It was a very fun day indeed! 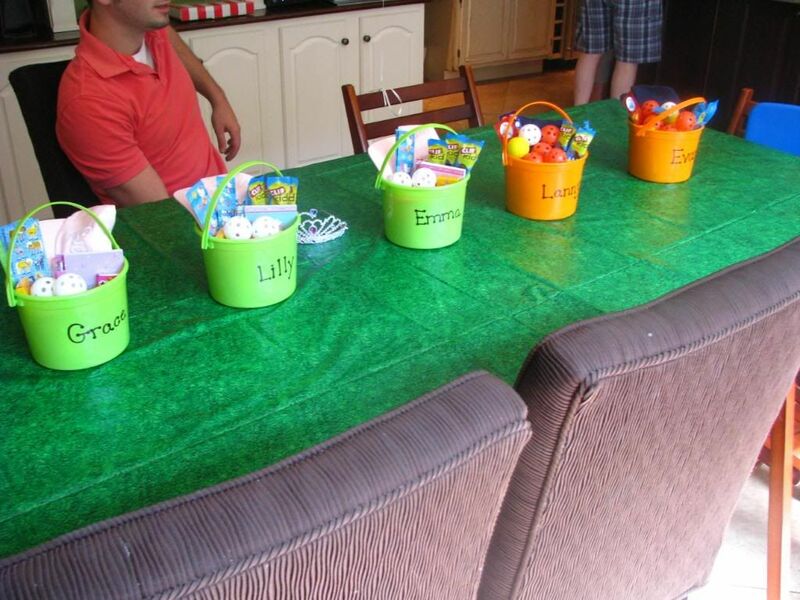 The kids' treat buckets filled with lots of golf accessories! 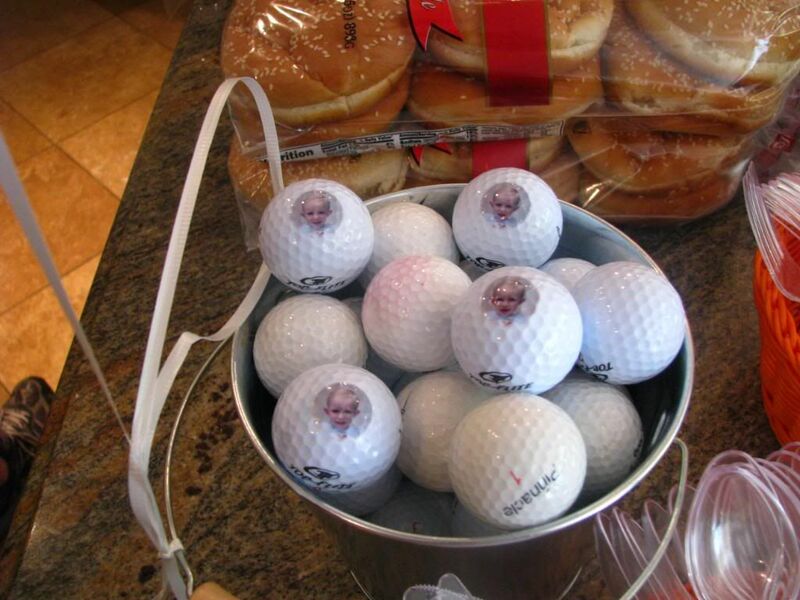 Even had some golf balls with the boy's face on them! 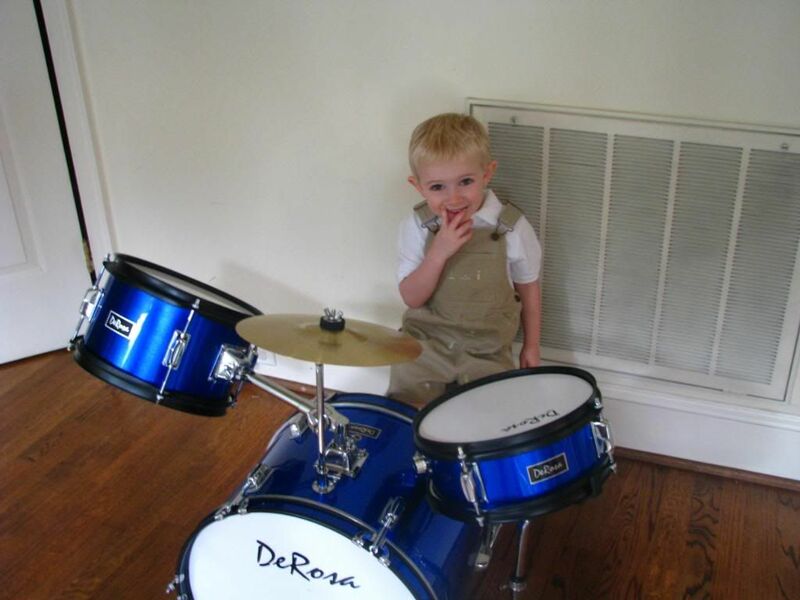 Lanny plays his new drums! Wow, they are LOUD! 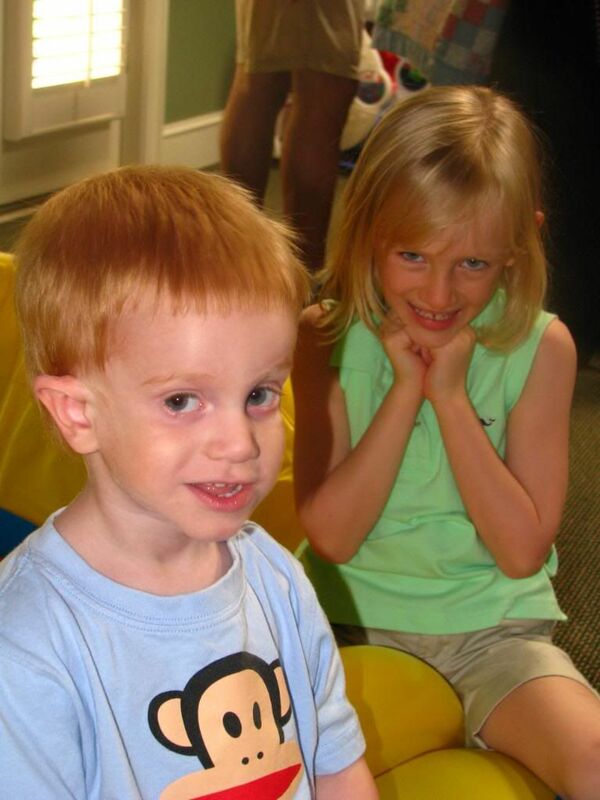 A very cute picture of Evan and Emma. 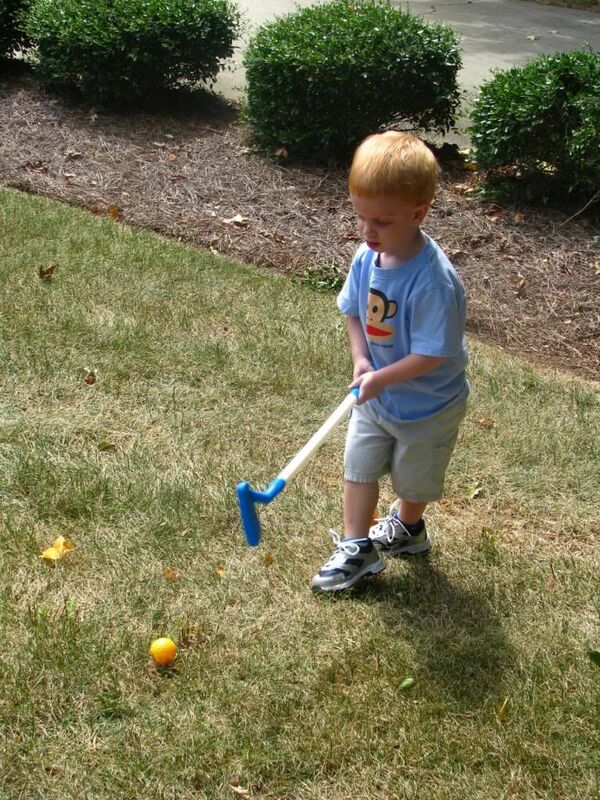 Lanny is practicing for the real thing! 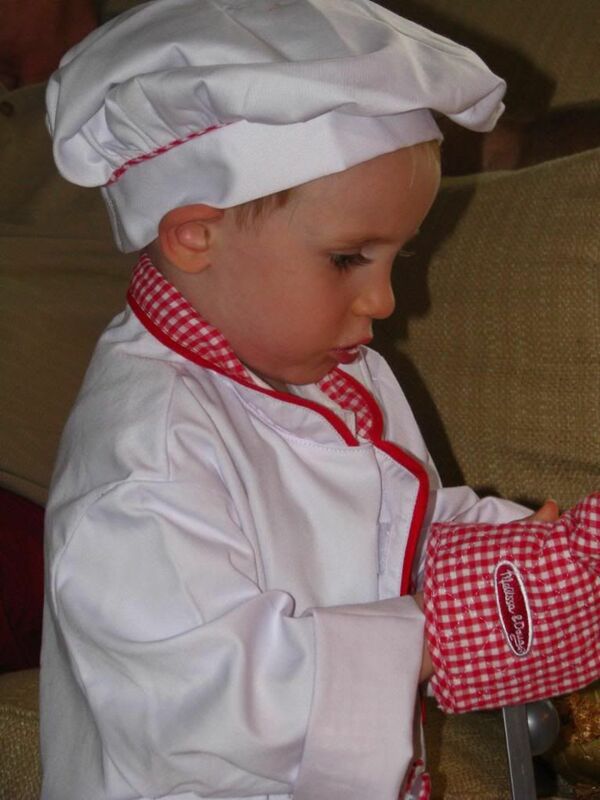 He is such a little Paul now! 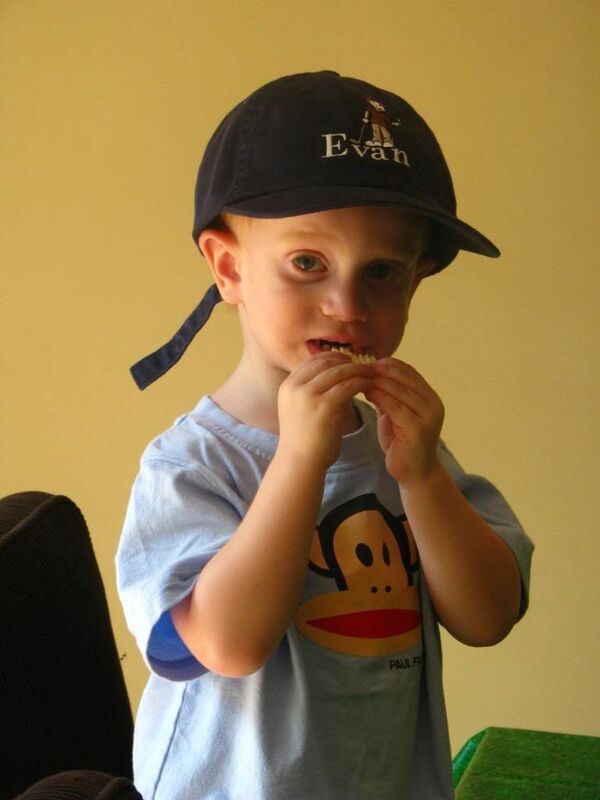 Evan loves to hit a ball! 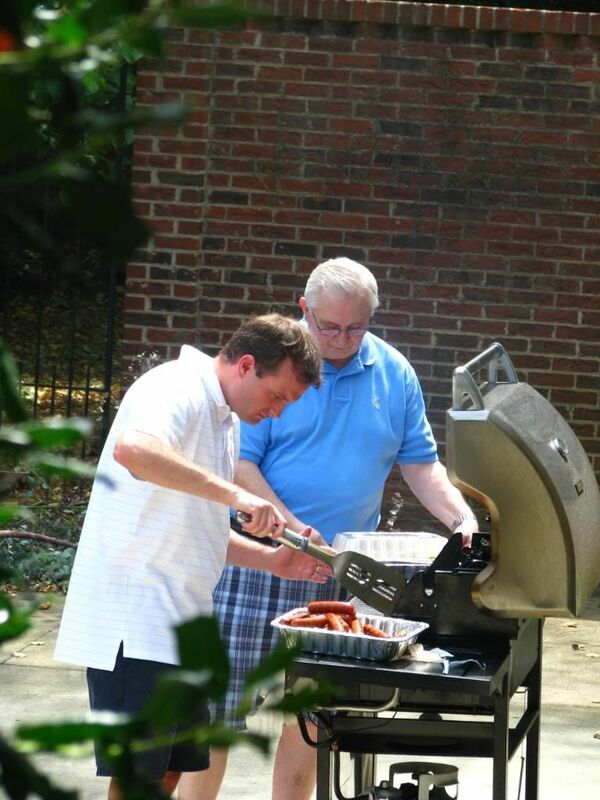 Papa and Uncle Paul do some serious grilling! 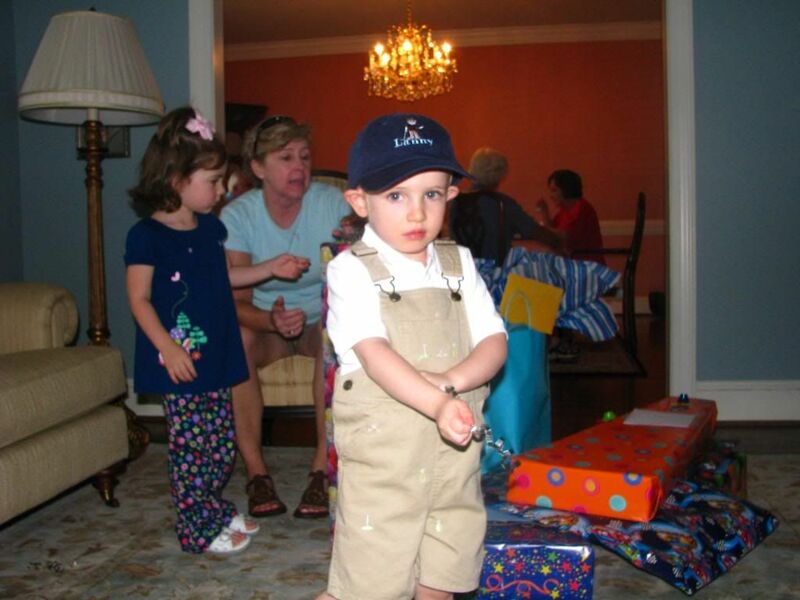 Lanny lookin' good in his golf hat! 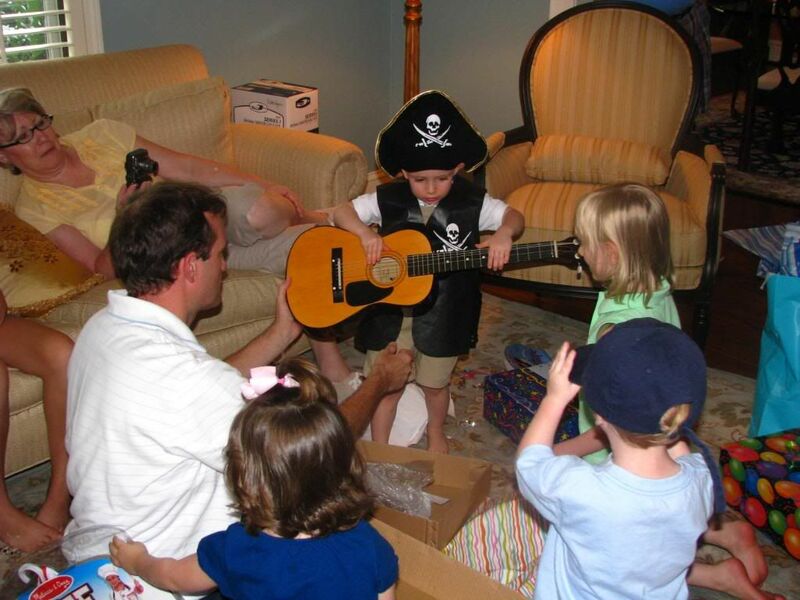 Lanny the singin' pirate with his new pirate suit and guitar! 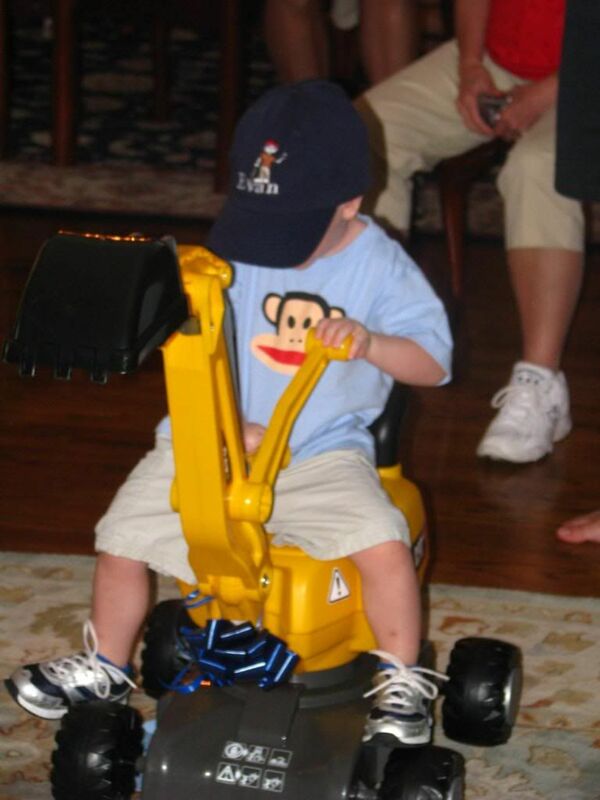 Lanny the construction worker...lots of pretend play for him! 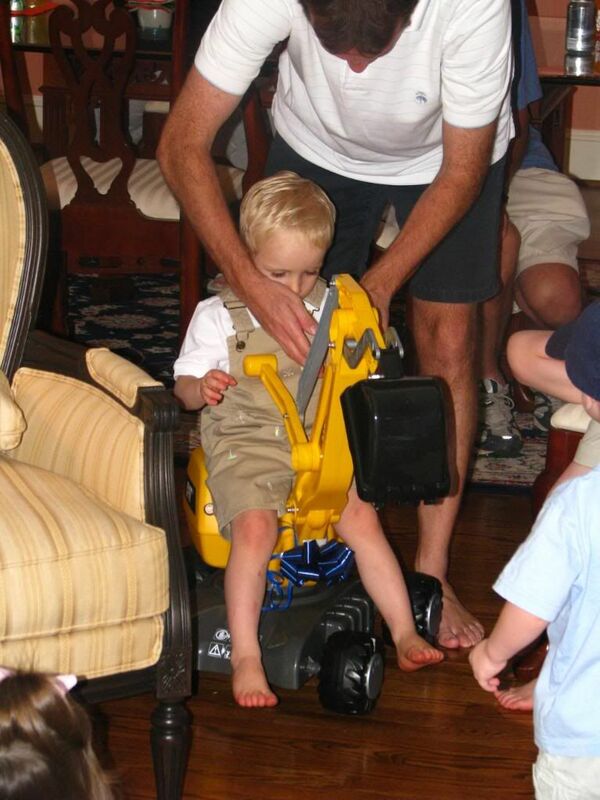 Evan tries out the new front end loader (or whatever it is!). 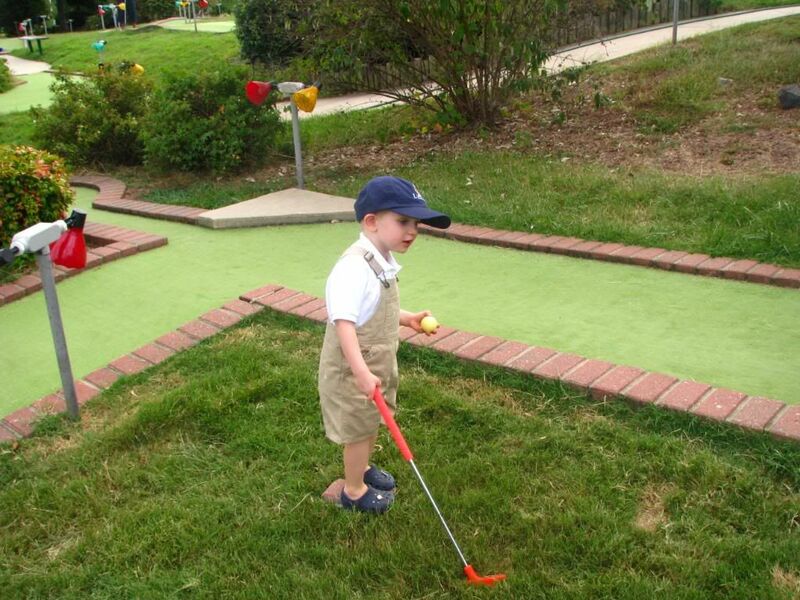 Lanny gets ready to play some putt-putt! Uncle Paul and the kids get the game started. 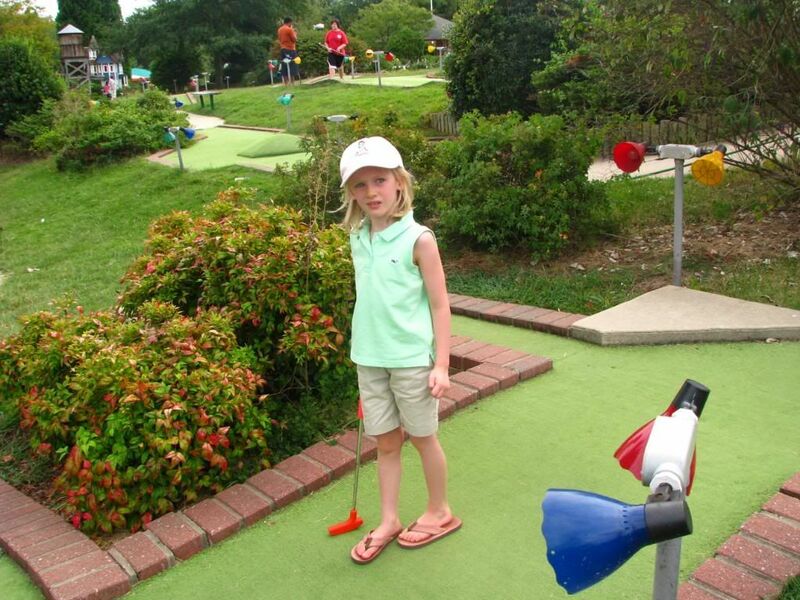 Emma in her golf hat...the girls' hats were pink. 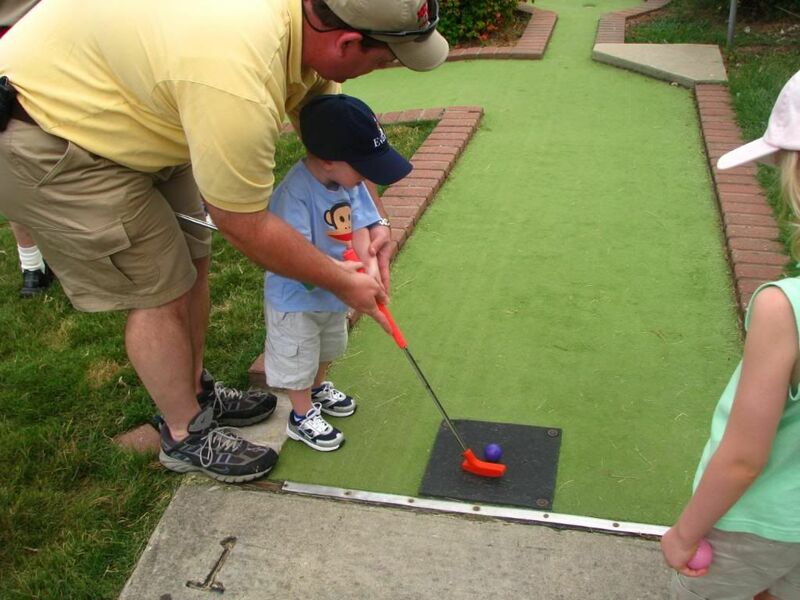 Daddy helps Evan tee off at the first hole. 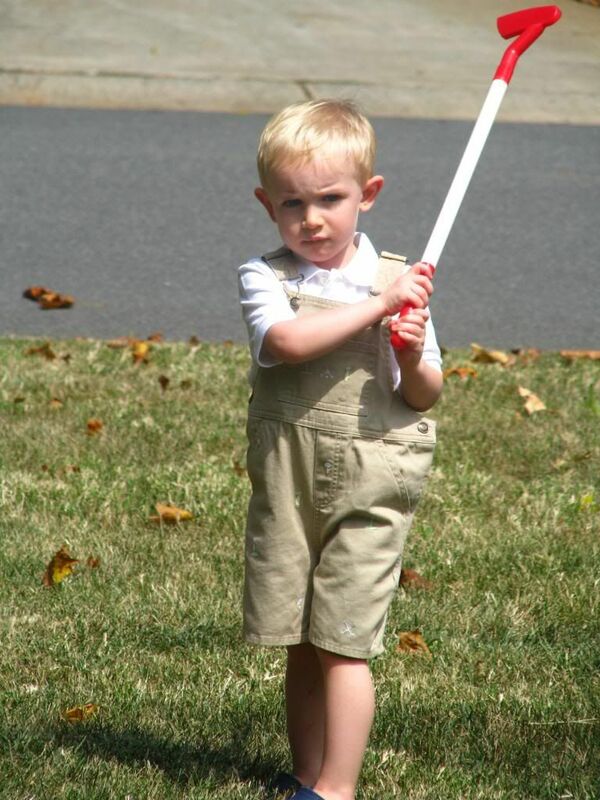 He got a hole in one!!! 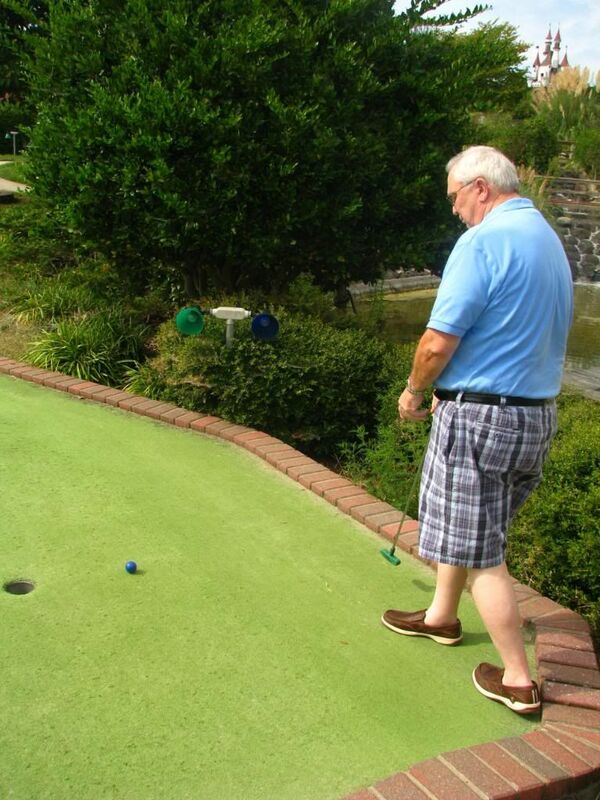 Lanny gauges the distance to the hole! So professional! 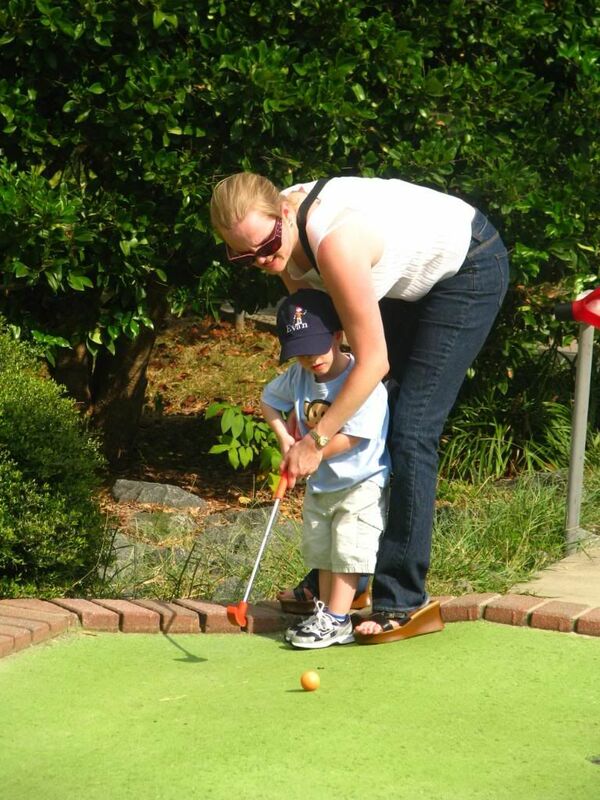 Mommy helps Evan try to make this difficult shot. Why did she even bother? 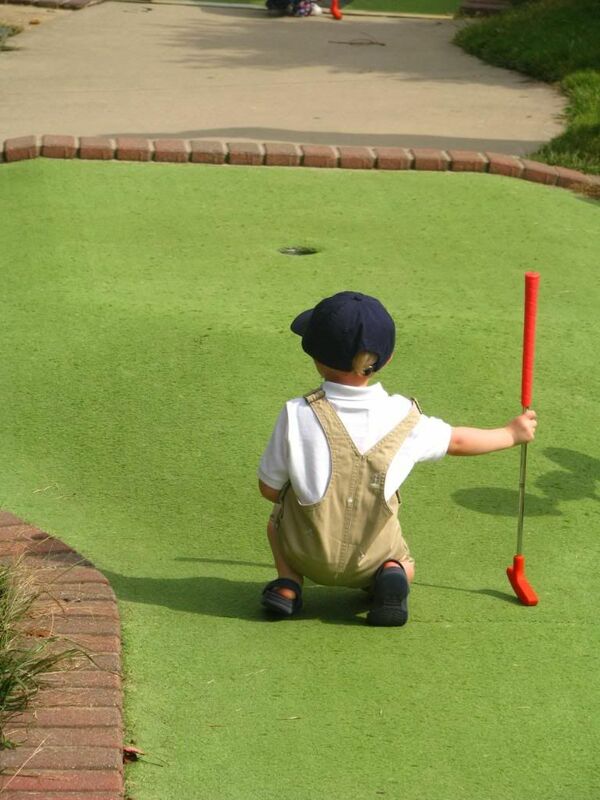 Papa would much rather be playing "real" golf! 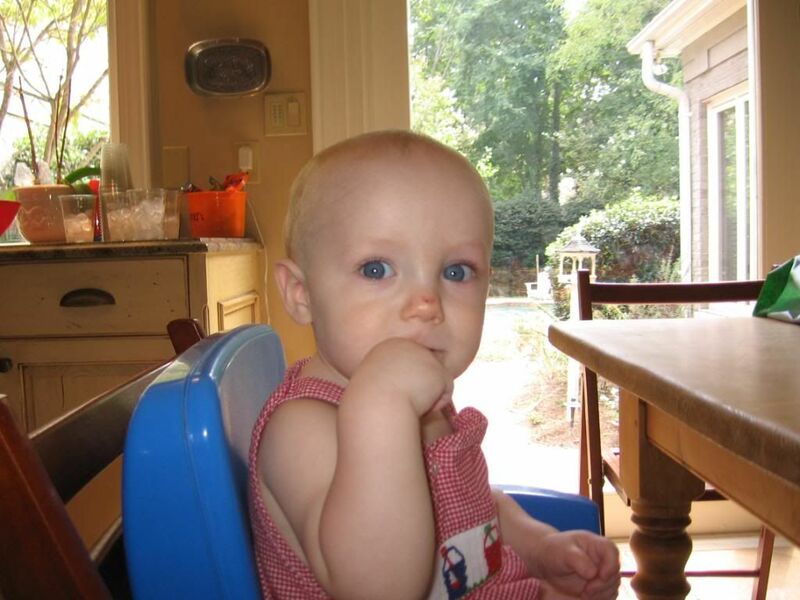 Baby Reade enjoys the birthday party too...but no cake for him yet!